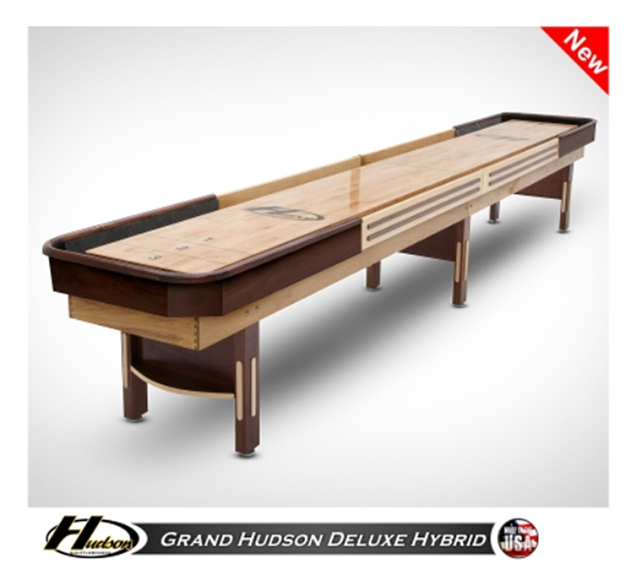 Hudson shuffleboard tables are high quality tables that are loved by both home shuffleboard enthusiasts and professionals alike. 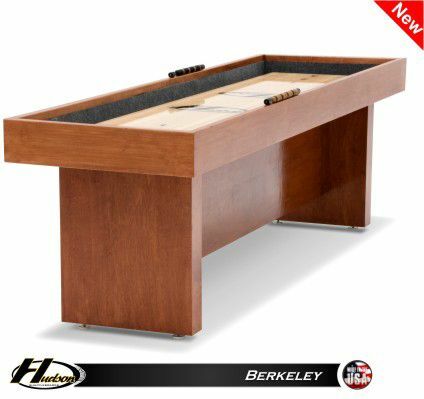 Hudson tables are great for use in home game rooms, at a bar, or even in a business. 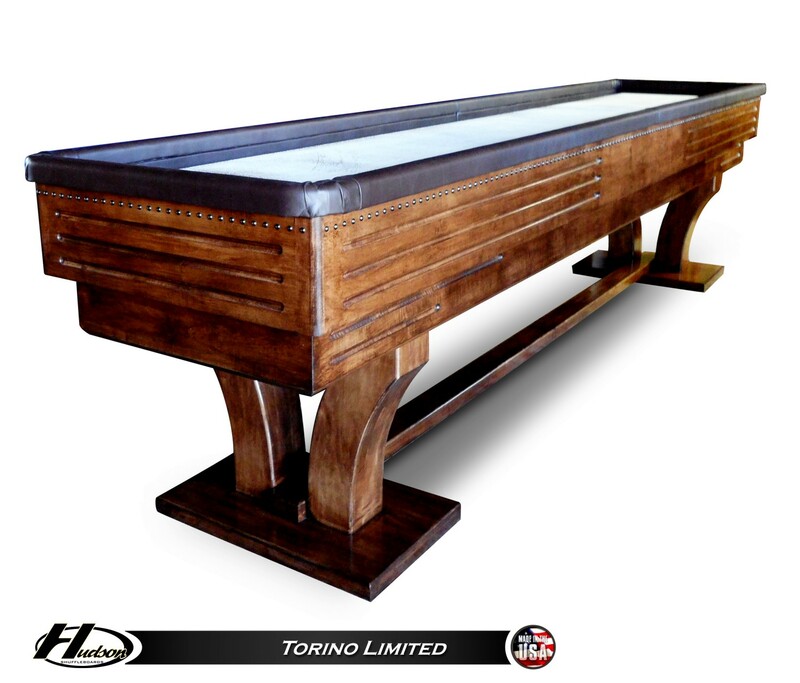 The top of the line tables look great in any setting and deliver an unparalleled shuffleboard experience. The rich wooden cradles and carefully crafted playing surfaces help to set Hudson tables apart from the crowd. 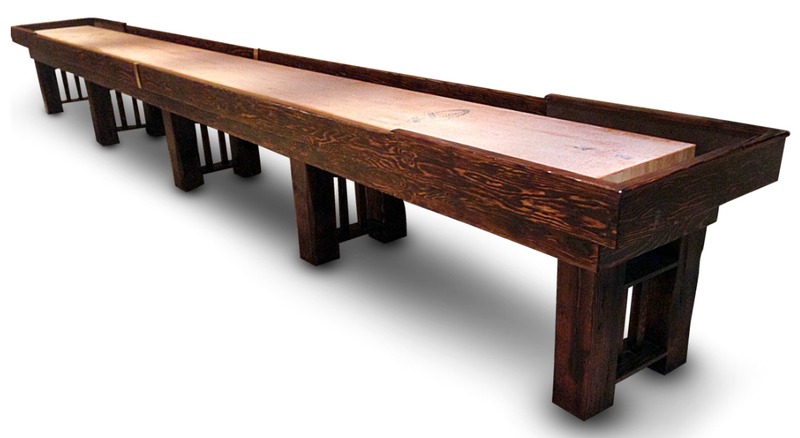 These beautifully crafted tables have been featured in major shuffleboard tournaments and some of the top players in the world prefer Hudson shuffleboard tables over any other brand on the market. 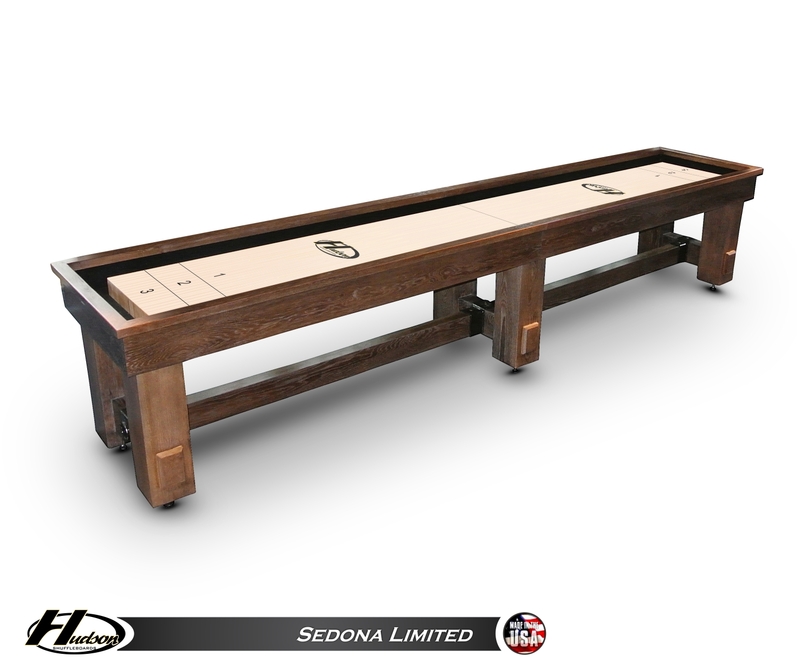 Bringing a shuffleboard table into your game room is a great way to add a fun and excitement to your home. 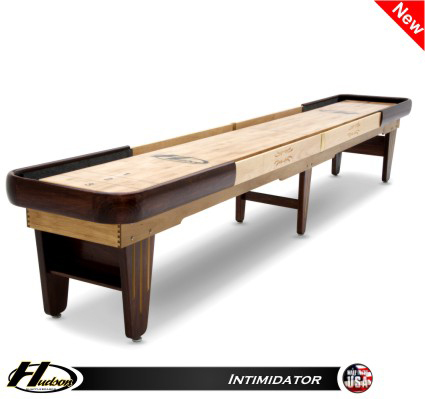 People of all ages enjoy the sport, and Hudson tables are perfect for players of all skill levels. 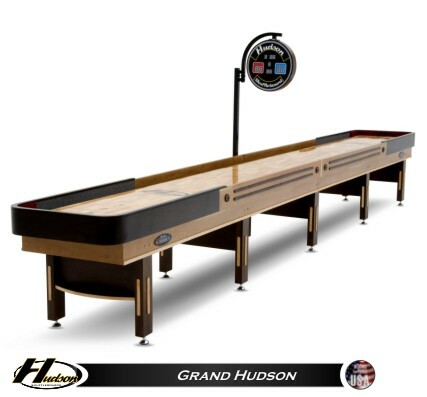 Popular models like the Grand Hudson table, the Metro table, and the Octagon shuffleboard table are all available in multiple sizes to fit in any space. NASC XXVIII - The 2017 North American Shuffleboard Championships? NASC XXVI - The 2015 North American Shuffleboard Championships? Places to Play Table Shuffleboard Washington, D.C.
For Official Rules click here. 2004 Sol Lipkin Award Presentations To Bob Lewis & Pete Cladianos, Jr. I was delighted to find their excellent web site for the first time. I was in need of some supplies before NY Eve and they gave the order special attention and got me the goods when I needed them. It was excellent service supported by individual attention from the head of the Federation. Extra-emely great service. Will continue to get products from them. I submitted my order and received it in two days. I can't complain about the service I received. Way out here in Hawaii, I expected the order to take weeks for the Shuffleboard Federation to complete - even though I had commented that I would pay extra for other than the ground based delivery services that were assumed. Imagine my delight when within days I had received my rather modestly priced order! The representative was extremely responsive to my questions, providing immediate and helpful feedback. This is what customer service is about. Without a doubt the very best on-line purchase experience I've had. This company is a definite credit to e-commerce. 100% accuracy with the order and a delivery that was almost unbelievably fast, 2 days! I look forward to doing business with them again. A small order placed through Internet, quick e-mail confirmation, two day delivery, and a follow-up phone call to assure that everything was OK. Who could ask for more? I am very satisfied with The Shuffleboard Federation personnel, products and shipping schedules. I had ordered the wrong item, but when I contacted them, they advised me which item I needed to order, placed the order, and handled the return of the incorrect product for me, all within 2 days. The order was correct and came as fast as if I had made a phone order. The product was all that I expected. I will order (from) the Shuffleboard Federation again when the need arises. Great company, very responsive, good service, good delivery, followed up via email to assure satisfaction. VERY IMPRESSED. 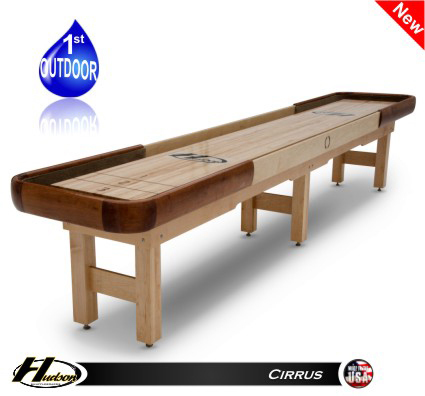 Copyright ©2018 The Shuffleboard Federation. All Rights Reserved.